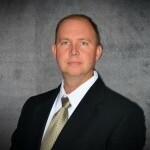 James currently serves as Service Manager for our Comfort Systems USA Midwest team. James joined Comfort Systems back in 2008 when they purchased the company he worked for in Las Vegas. James served as a Service Technician at Comfort Systems USA Southwest in both the Chandler, AZ and Las Vegas, NV markets. James transferred to Comfort Systems USA Midwest as a Service Technician in the fall of 2013 and was promoted to Service Manager in the spring of 2015. James joined the US Army right out of High School and decided to go to HVAC school when he got out of the Military. James received his HVAC training at RSI, Inc. in Phoenix, Arizona where he graduated top of his class. Outside of work, James loves spending time with his family and attending all of his kid’s sporting events and activities. James also enjoys being outdoors, hunting and likes to fit in a round of golf here and there when time allows.